Do you have a stash of cash under your mattress? But is it smart to hold your money in cash? Today we’re going to discover the actual opportunity cost of holding money. 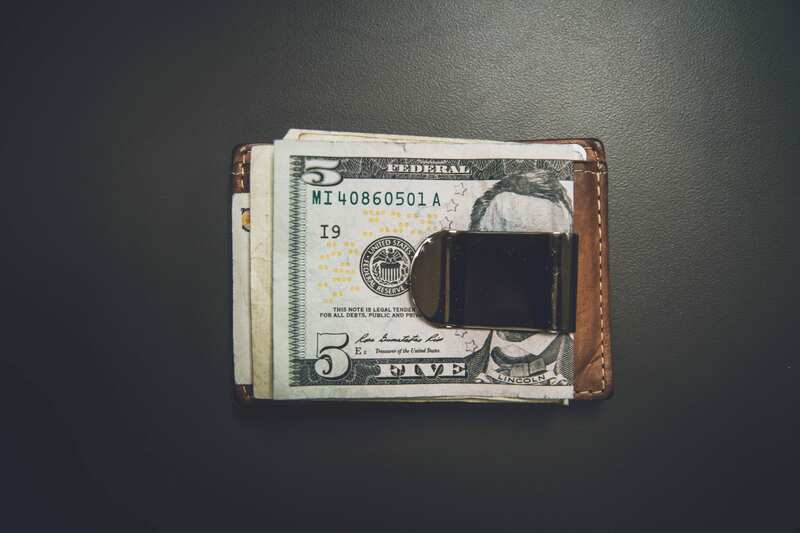 You may be surprised by what you’re missing out on when you stash away your cash instead of investing it or even putting it into a savings account. What is the opportunity cost of holding money in cash? Opportunity cost represents the benefits you miss out on when choosing one alternative over another. For example, the opportunity cost of taking off work to hang out with your friends is the lost income from not working. The opportunity cost of holding money in cash is the gains you miss out on if you did anything else with the money (investing it). Of course, this doesn’t really mean much without some concrete examples. First, let’s take a look at what happens to your money when you hold it in cash. If you have your money in dollar bills in a safe or even under your mattress, you’re not gaining any interest on it. But at least you’re not losing any money, right? Most people don’t take inflation into account when they decide to hold the majority of their savings in cash. Inflation will slowly eat away at the value of your money. The $20,000 you have in cash will have more value now than in 20 years. Each year, the purchasing power of your dollars decrease anywhere between 0.5% to 3% (equal to the inflation rate). According to the Bureau of Labor Statistics consumer price index, the dollar has experienced an average inflation rate of 2.19% per year in the last 20 years. This means that $20,000 in 1998 is equivalent in purchasing power to $30,869.94 in 2018, a difference of $10,869.94 over 20 years. This means that if you don’t do anything with your money besides holding it in cash, you’re not only missing out on the opportunity to make monetary gains from your money, but it will also lose value over time due to inflation. But since inflation happens whether you invest your money or keep it in cash, we can omit it from the opportunity cost formula. In the above-mentioned formula, the rate of the chosen option is just the value of the money you’re holding. Now that we know what the return of the chosen option is, let’s figure out what the return of the most lucrative option not chosen can be. 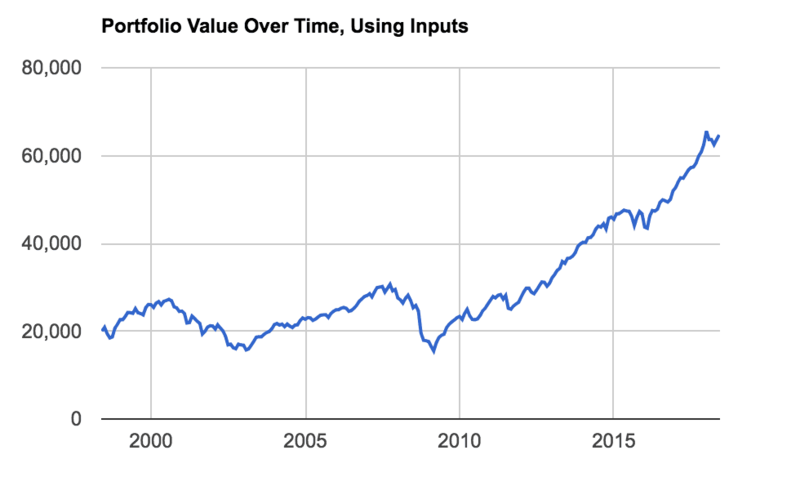 For these examples, we’ll assume you have $20,000 and hold it in your investment vehicle for 20 years (from 1998 to 2018). Over that time period, you’re average annualized return would have been 6.041%. This means the final value of your investment account in 2018 would be $64,691.07. That’s $44,000 over your initial investment! The opportunity cost of holding your money in cash instead of investing it in an S&P 500 index fund is $42,691. Unlike 20 or 30 years ago, the interest rates on savings accounts are pretty insignificant. The average interest rate on a savings account in 2018 is a meager 0.06%. That’s less than inflation! So if you do want to put your cash into a savings account, it’s really important to shop around for the best interest rate. From my personal experience, I’ve found that CITBank offers one of the best interest rates on their savings accounts along with other benefits (no maintenance fees, 24/7 online bank, etc) that make it the clear choice. Right now CITBank offers a 1.65% annual interest rate on their savings account (more than double the average!). So we’re going to use that interest rate for the opportunity cost calculation. If you put your $20,000 into CITBank’s saving account for 20 years you’ll end up with $27,204. So, when you opt to hold your money in cash rather than putting it into a savings account (which is much safer by the way) you’re losing out on $7,204 (the opportunity cost). Should you never hold your money in cash then? Unless you’re somehow unable to put your cash into a bank…(I can only think of illegal reasons), it’s always better to at least put your money into a savings account. A savings account is just as liquid as having cash on hand. For example, you can transfer your money from a savings account into a checking account instantly. From there you can write a check, use your debit card, take money out from an ATM. Putting your money into a savings account is safer than holding it in cash. What if your house gets broken into? Unless you have a well-hidden secret compartment somewhere. But in that case, what happens if your house catches fire? Bye, bye cash. Or a tornado, or hurricane, or alien invasion – I can think of many many scenarios. If you go with a bank like CITBank for your savings account needs, you’ll even make a little bit of interest back!